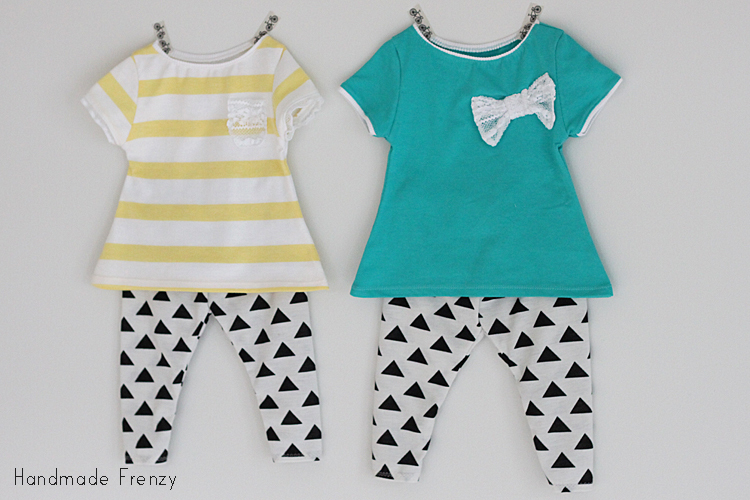 KCW Summer 2014 - Sewing For Twins! Apparently I have taken an unplanned "blogging break" the past couple weeks :) And to be honest it has been very refreshing! I've been focusing on some house/remodel projects that have been needing to get done and also having some much needed summer fun with the kiddos. Our favorite has been meeting Daddy at the park for lunch! 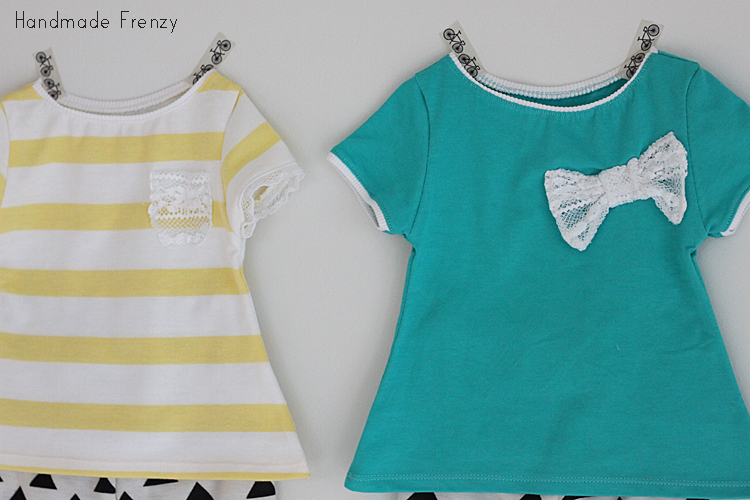 Now I'm playing catch up... Way back during Summer KCW, I sewed these two fun little baby outfits! It's kind of hard to tell in these photos just how tiny they are, but they are tiny! At least the some of the tiniest things I've sewn (3 mo). I couldn't blog them during that week as they were for a gift for a friend who was blessed with the sweetest most adorable twin girls! They have now been gifted and I can share with you all without spoiling the surprise. 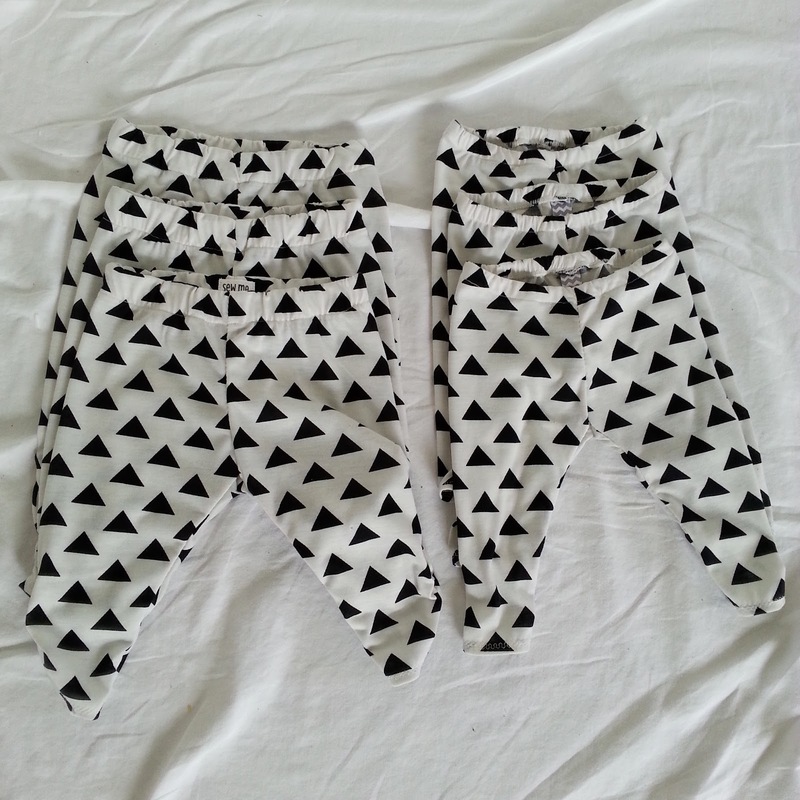 The leggings are the Go To Leggings from Go To Patterns in the smallest available size. Which is a FREE download for newsletter subscribers! I bought the pattern recently during a Friday Fiver sale and went to town with it and the free pattern as well ;) These are a couple for my girlie and the rest for gifts. The pattern is as awesome as they say, so FAST and the fit is great! This fabric (similar) is not, however, a 4-way stretch and while it is still very useable, definitely size up! 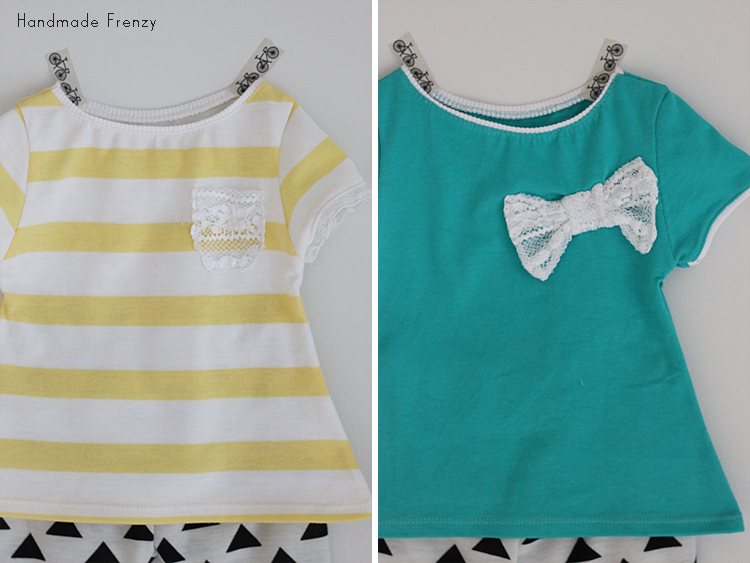 For the shirts I started with the Pippa Peplum and redrew the bodice into a swing tee. I loooove the outcome. 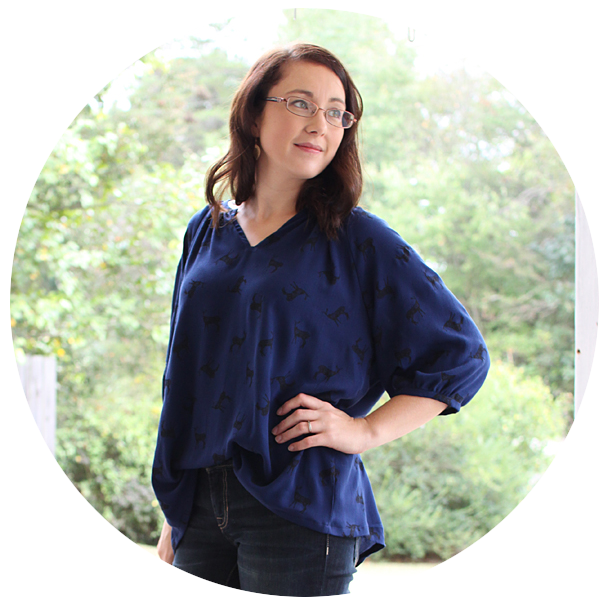 I'm working on an outfit and a post for Heidi of Elegance & Elephants Knock It Off series over the next couple of days, so I'll be back on Friday to share that! I'm super excited about it! *Hint: it's for my boy!! 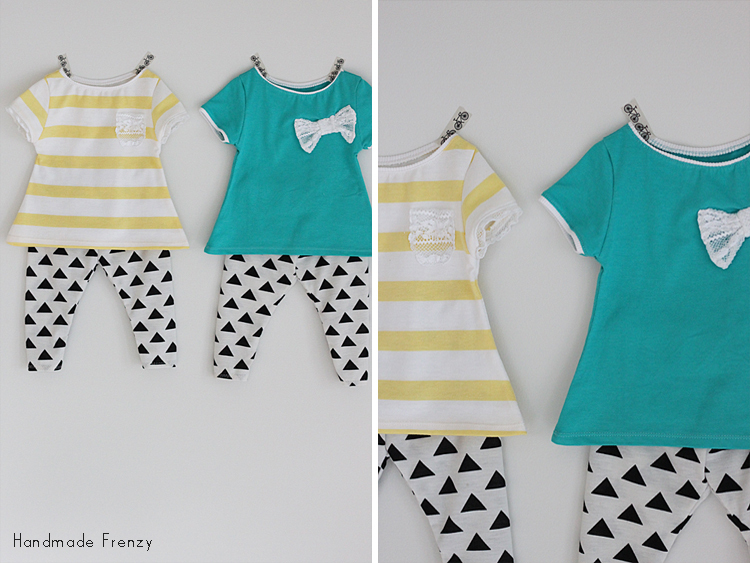 Those are the cutest little outfits! 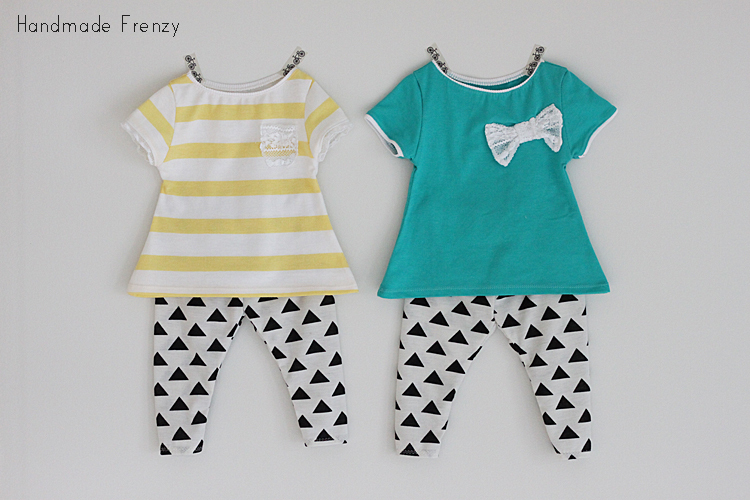 These outfits are adorable! I love them!